With Co-Hosts Cindy Dole and Eric Stromer at the microphone every weekend, laughing, and sharing the latest in home, garden and life improvement, their audience feels like they are sitting in the kitchen with them, sharing a cup of coffee with their favorite experts. That’s what makes Home Wizards stand apart from the rest of the field: their warmth, humor, relaxed nature, and deep knowledge of all things home makes Home Wizards a great place to expose your brand. And, in today’s business reality, your brand is challenged with penetrating many diverse media…much more so than even 5 years ago. That’s why Cindy and Eric have expanded their reach across multiple platforms: from Nationally Syndicated Radio and National TV, to all things web including their social sphere. Eric and Cindy can provide your brand with a highly targeted audience in the very domain that they enjoy using and visit frequently. To Cindy and Eric, Home Improvement is Life Improvement and that is what Home Wizards is all about! This fun and dynamic duo make any topic tied to the home interesting, approachable and entertaining across a multimedia platform- on the Radio Show, Weekday Tips, Online, in Videos, on TV, Events and their Social Sphere! With a fresh and fun chemistry that connects with listeners, Cindy and Eric share knowledge and stories from personal experience with humor, to empower, educate and enlighten and make all topics about life at home relatable, fun and within reach! Cindy Dole and Eric Stromer are refreshing, likable and relatable experts with a unique chemistry that lights up the airwaves! They bring a fun and playful male and female perspective making any topic tied to the Home suddenly something you want to try. Together they provide approachable solutions and as good friends make the listener feel they are right there with them, sharing a cup of coffee! It is that authentic and personal quality that makes Home Wizards so popular and has become one of the most listened-to weekend shows on their flagship station in Los Angeles, KFWB NEWS TALK 980. Between Eric’s 20 plus years of experience as a Veteran Contractor turned HGTV and AOL Host, and Cindy’s as an award- winning News Anchor/Reporter and Talk Show Host, listeners are in for guaranteed entertainment that becomes their favorite, never to miss a show. Cindy is a veteran Radio and TV Broadcaster and Personality who began her career in the news business, working as an award-winning News Anchor, Reporter and Talk Show Host across the country. She has interviewed celebrities, politicians and everyday heroes and known for communicating in a way that is compassionate, conversational and comfortable. 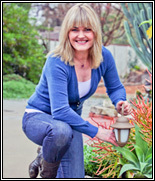 In 1995, Cindy turned her personal passion for home design, gardening and entertaining into what is Home Wizards today and taken it from a consistently popular show in Los Angeles, to now Nationally Syndicated in 50 plus markets and growing! The show’s following continues to grow with listeners and brands who consider Cindy a best friend with a signature laugh, quick wit and gift of gab. Cindy’s approach to all things home is to make it fun and make it you. She has been named one of the Top 100 DIY Bloggers. 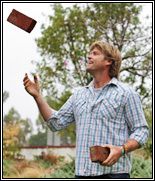 Eric is a popular name in Home Improvement as a 20 Year Veteran Contractor and beloved Host and Expert on all things Home. He joined Cindy on Home Wizards after appearing as a guest and both realized their chemistry and shared knowledge was too good to pass up and not make this an ongoing team! Eric can be seen by tens of thousands of fans daily, dishing out DIY Videos on AOL, their most watched feature on the site. Eric is the host of a new TV show soon to air on A&E , The Ugliest House on the Block, and is also seen on HGTV’s long running and top-rated series, Over Your Head. Eric also starred on TLC’s Clean Sweep, NBC’s Three Wishes and is an accomplished author. His book, Do-It-Yourself Family, is a helpful guide for busy parents, with suggestions for home projects that will not only bring the family together but also buy some quality time for mom and dad. Cindy and Eric will work with your Marketing, Sales and Public Relations Team to create compelling content and meaningful programs that showcase your brand and touch a nerve point with our audience and your targeted demographic/consumer. One case study is the Cindy Kitchen Project that covered 4 months of the Before, During and After of a Kitchen Remodel in Cindy’s own 1950’s home with Radio, TV, Web Video and Social Media exposure – including a web video series continues to attract viral traffic with upwards of 500,000 unique views. Nationally Syndicated Radio Show – Currently in 60 plus markets across the country Our loyal audience turns to Cindy and Eric not only for information, inspiration and entertainment, but to know which brand and products to try and trust. It is Cindy and Eric’s mission to work with the best brands and products they love and after thorough research, speak about them in a meaningful way that connects with the audience. The impact is huge, as Cindy and Eric talk about you and your brand and endorse what you do with passion, memorable storytelling, and messaging that cuts through and makes sense to listeners and viewers. As we roll the show out across the country, there is an opportunity for your message to be connected to all that Cindy and Eric do in a very credible, powerful and personal way! Cindy and Eric brag about you during the show in a personal way that connects with listeners/viewers and your demographic. Weekday Radio Tips– The dreaming about the doing for the home isn’t just on the weekends, but 24/7. That is why Cindy and Eric host and produce fun, entertaining, and insightful Home Wizards weekday one minute tips that air in fixed positions during M-F morning and afternoon drive. It’s an opportunity to connect your brand to the prime time audience. The tips may be sponsored with a billboard or an adjacent endorsement/commercial voiced by Cindy and Eric. You Ask We Answer Videos – Cindy and Eric host and produce conversational web videos as they answer listener/viewer questions and email on camera, while offering solutions and ideas in a fun and entertaining way. This is a chance for you and your brand to connect with our audience and join these conversations by having your logo tied to the video, or we can embed a pre-roll in the video itself to showcase your brand in a very popular and engaging offering of content. Viral Web Video Series – Cindy and Eric host and produce TV quality web video series that delivers a large following. A terrific case study is the Cindy Kitchen project with upwards of 500,000 unique views and still counting, over just a few months’ time. See www.CindyKitchenProject.com. Cindy and Eric cross- promote these video series during the radio show, online, in their social sphere and wherever you are guaranteed great results. And, the videos weave in your story and message with the credibility and fun factor that Cindy and Eric are famous for! TV Show Version of Home Wizards – TV Show Version of Home Wizards – Public Television, KCET Los Angeles, has approached Cindy and Eric to produce and Host the TV version of Home Wizards which is now in the planning and production stages. The weekly show will first be produced to air on KCET, the top Public Television Station in Los Angeles, and then will be syndicated throughout the country on other Public Television Stations. The opportunity here is to not only sponsor the program with mentions before and after the program, but to be interviewed and showcased during the show itself. Among the topics being planned are Eric’s Parent Pad, showing universal design for aging parents, as well as the gardens, design and architecture of exotic Indonesia. Satellite Media Tours – LIVE TV and Radio – Cindy and Eric showcase trends, topics and products seasonally at trade shows or customized to your campaign/event to share your story to more than 25 million people. Market by market, Cindy and Eric weave in your message to TV and Radio audiences across the country in a compelling, conversational and credible way that resonates with TV Shows and Radio Programs nationally. Cindy and Eric enjoy a solid track record among TV and Radio stations and are always welcomed by producers and program directors because they deliver solid content and are the real deal. Whether it’s the Kitchen and Bath Show (KBIS) for which Cindy and Eric are NKBA ambassadors, the International Builders Show (IBS) or a customized program like the Cindy Kitchen Project, this is a cost effective and powerful way to get millions of impressions thru Cindy and Eric’s popular and entertaining story telling in live interview segments that range from 5 to 15 minutes. The Media Tours can originate from your event, a studio, a convention center, or any location. They include story consultation, pitch crafting, monitoring and full usage reporting, tracking, pre- production coordination, scripting and full TV and Radio production. Sponsored Community Events – Cindy and Eric enjoy working as your ambassadors whether it’s a public event, seminar, demonstration or trade show. As entertaining and engaging spokespersons, Cindy and Eric can talk to the media, your target/customers, and your sales team about your latest campaign message. Their loyal following is sure to turn whatever you have planned into something fun and exciting! Together they can help educate and engage consumers while establishing the need for whatever you are delivering. Prior to your event, Cindy and Eric can also assist creating additional pre-planning buzz either through Radio and Television, or Print, and Social media with Facebook and Twitter. Favorite Products and Picks Reviews – Cindy and Eric’s audience always wants to know the products they choose to use and love! We now offer a dedicated page on our website which features your brand and product as part of Cindy and Eric’s favorites to test, review, and brag about! This is a visual catalog experience with images of your product(s) and a write up by Cindy and Eric and click thrus to your site. Targeted Campaigns and Trending Topics- Home Wizards’ audience is large, loyal, and interested. That’s why your campaigns are so successful with Home Wizards. We talk to foreground listeners – people who want to know what we know – the latest trends and what’s hot and what’s not. They want to know what you and your brand are up to as well. That means your campaign is surrounded with like-minded consumers. And that’s powerful. Cindy and/or Eric can personally endorse your brand by voicing the spots. They also expand your presence by utilizing as much of their multimedia assets as possible. Additionally, providing earned media is a big bonus! Spotlight Interviews– Spotlight Interviews are ten minute dedicated product- and trend-focused interviews that listeners just love. You will have an opportunity to talk directly with Cindy and Eric about your brand and its latest initiative. In spotlighting your brand in this way, our audience gets the clear message that it is of-the-moment, available, and greatly beneficial. The interviews are done either in studio, visiting the radio station and sitting right next to Cindy and Eric, or by phone. Either way, our audience appreciates the content. We will even send you the sound clip! Live Remote Broadcasts – Remote broadcasts of the Home Wizards Show can be a critical part of your marketing plan. 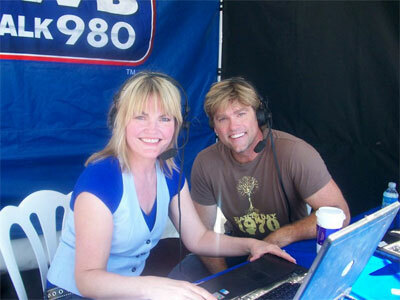 Having popular radio personalities like Cindy and Eric visit your retail location can mean a lot. Your consumers will just love meeting them and talking with them. And, you will love the additional foot traffic Cindy and Eric can drive into your location. The remote broadcasts are a full two hours and Cindy and Eric will air the entire show. Promotions, giveaways, contests, and lots of fun are all part of the day. Each week Cindy and Eric introduce topics of high interest to their listeners. They so cleverly embed highly desired content within their warmth and humor. As listeners take it all in, it’s almost as if they are all sitting around the kitchen table chatting away. Home Wizards and Cindy and Eric love to continually be a valued resource to their listeners. And their listeners have come to depend upon all the rich tips, tricks and products from our sponsors. PLUS, Home Wizards Special On Air and On Video Promotions which feature major sponsor participation, and include multimedia assets: radio, viral video, digital, national radio and tv. Our audience are foreground listeners, who really want to be present to receive lots of good information about their home project: where to go to buy the products they need, the best way to accomplish their project; the short cuts; the pitfalls; failsafe techniques; the do’s and dont’s. As well, they just love listening to Cindy’s and Eric’s special guests who are experts in their field and who interact with Cindy and Eric to bring the audience a well-rounded perspective and dimension. It gives imagination and inspiration to what’s possible in their home. 93% of them own their own homes. *NOTE: Rates fluctuate based on supply and demand; as well, the scope of your campaign.